We are writing to express our deep appreciation for the care our son has received from Dr. Karen Meyer. We have been trying to think of the best way to show her how thankful we are for her and decided that assuring that her peers and the administration at Methodist know about the outstanding care she provides would be one way to honor her. Our son, Henry Friedman, has been a patient of Dr. Meyer's since his birth. Henry was our eighth child and we were in, our mid to late 40s when he was born. We have a large blended family. 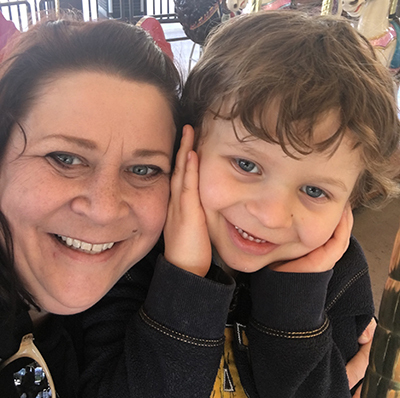 Amy's sons had previously been under Dr. Meyer's care when they were infants and toddlers-20 years ago, so she was familiar with the wonderful care Dr. Meyer gave her patients. When Bruce and his children moved here they began seeing Dr. Meyer too. When he was 2 years old Henry suffered a traumatic brain injury when he slipped and fell at a hotel swimming pool while we were on a weekend getaway in Minneapolis, Minnesota. He suffered a large epidural hematoma. His neurologist told us that it was the most significant or largest epidural hematoma that he had ever seen someone survive. 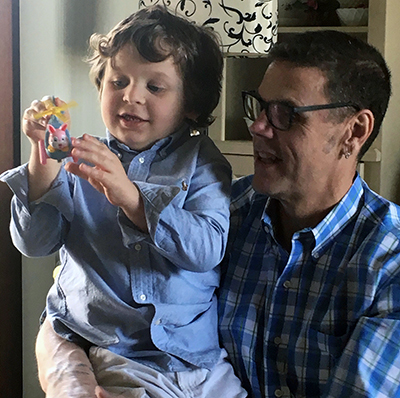 Henry spent about 10 days at the Minneapolis Children's Hospital and then about 30 days at the Madonna Rehabilitation Hospital in Lincoln, Nebraska. I spoke with Dr. Meyer while we were in the hospital in Minneapolis. She had received reports of his accident and subsequent treatment and took the time to call and speak with us personally. Upon our return to Nebraska, she continued to follow up with us. Subsequently, at nearly every visit we made to her office, she asked for updates regarding Henry's recovery and treatment from various specialists that she referred us to. I recall one of our first visits upon his release from Madonna, she went through all of his needs to assure that he was receiving all therapy he needed and that we had the best specialists arranged to see him regularly. She has been an incredible source of information for us and a wonderful caregiver and advocate for Henry. She reassures us and encourages us. She has been patient with Henry during physical examinations. Dr. Meyer has helped us find resources to help Henry and to help us find the best care for him. Most recently she has completed, in less than 24 hours, all of the paperwork needed to apply for an AD Waiver through the State of Nebraska, DHHS. Upon our request, she gathered records from her own file, including reports from the specialists and therapists, and completed a lengthy form that was necessary for Henry to get approved for the AD Waiver program. Getting this assistance from the State will make a huge difference for Henry and for us as his caregivers. It allows him to attend Children's Respite Care Center, and receive his speech and physical therapies while he is there. It frees up a great deal of our time and results in fewer transitions for Henry in and out of the car, navigating through parking lots and buildings, etc. In the years since Henry's injury, we both thought that he would catch up, that things would be back to normal, hopefully before he started Kindergarten. Unfortunately, he still struggles with his speech and understanding of language. He still wears a brace on his right leg due to tightness in his tendon that is a result of the brain injury. But this is not for lack of effort by Dr. Meyer. She has been an incredible source of information for us and a wonderful caregiver and advocate for Henry. She reassures us and encourages us. She has been patient with Henry during physical examinations. He developed quite a resistance to medical care providers after his experiences being hospitalized for over a month. Henry's injury and recovery would be much more difficult to deal with and navigate without the patience, care and attention of Dr. Meyer. We are so thankful to her and her entire staff at Nebraska Methodist Physicians.